The way we look at the customer in most of our organizations today is mainly influenced by an inside-out thinking mentality. The prevailing perception is that we can design our products from within the virtual boundaries of our departmental best practices or experiences and push them to the customer. Afterwards we use a set of conversion metrics to check if we can interpret some kind of product/market fit from these indicators and hope for the best to reach certain expected outcomes. In other words, we often push our ideas to the customer (internal or external) may they match or not. Our product-customer-fit mostly relies on educated best guesses. Often we formulated those based on experience rather than knowledge (“I’ve been doing this for the last 25 years therefore I know…”). Many times not much thought is given to proof the validity of the assumptions that led to the design in the first place. We create inside-out driven "value" mostly on a local department line-organisational level. We assume we know what the customer wants from that same local department perspective. Rarely any cross-entities validation on the overall customer’s problem solving, or need fulfilling aspect is been taken into account. This separation also leads to repetitive value provision. In this OSCON talk Simon Wardley* narrates that while consulting one global larger scale organisation they had found 380 customised versions of the same ERP system. By removal the costs declined from £380M to £800K. This is just a quick example of how non-aligned customer value can scale to a solid financial impact. 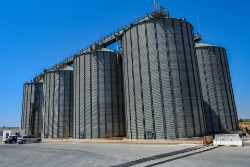 One can find silo tendencies in many organisations. They foster a culture of staff identifying themselves with a local entity rather than an organisation wide customer value focus. Departments or entities build up walls to other parts of the system. This is what creates the kind of antimatter mentioned above. Obviously no upper management is actively promoting such developments. Sadly though this systemic occurrence is often driven by the behavioral mentality of middle management trying to climb the ladder. Local and isolated incentives on organizational level such as many ill-designed bonus schemes contribute to these negative climates. A status quo such as this often gets reflected as follows by middle and upper management: “Well, we have regulations in our branch. We have to allocate our budgets annually”. True, but not the whole truth. Yes, internal or external compliance regulations might force organisations’ budgets to be distributed to entities annually. But does that imply we have to carve in stone where we spent it inside that period of time? By the way, "annual budgeting" was first introduced by James O. McKinsey and layed out in his 1922 publication “Budgetary Control”. This work is almost hundred years old. If you look at the cycle of innovation (or window of stability), the fact is that it has now come down to an decreasing average of 3 months, one might ask the question of why we hold on to an approach that was designed at a time where the innovation window encompassed multiple years or even decades. But let me get back to outside-in vs. inside-out thinking for a minute. Inside-out thinking also tends to hold organizations hostage in a culture of prevailing the status quo (“We have always been doing it like this and that’s why we are not changing it”) Jeff Bezos uses the term know-it-all mentality in his day1 manifest. We know, therefore we keep the status quo. We do not change because it would imply we were wrong and failed at knowing. In these environments failure is an expression of not knowing. Not knowing is not welcome. We pay people to know! They are experts, aren’t they? If I ask my project manager how long something is going to take, he has to know. Hasn’t he? With all his years of experience? He ought to know. Do you recognize the pattern? The underlying thinking is, we have experience therefore we have knowledge. this approach is not really effective. Functionality doesn’t necessarily reflect customer value. You can build a lot of functionality without achieving any value. You can build the thing right without building the right thing! The predictability of weather is a good example in this context. Ask yourself, what is the wording of a weather forecast. Is it “tomorrow it’s going to rain at 1pm” or is it “with a chance of 90% it’s going to rain tomorrow at 1pm and a chance of 50% at 10am”? This example of deterministic vs. probabilistic takes us back to the comparison between know-it-all vs learn-it-all. Let’s look at learn-it-all mentality: in a learn-it-all environment we do not claim to be the owner of the single truth. We do not ask project managers at what date the projects are going to be finished next year. We don’t rely on the a single value truth, for we learned that it simply doesn’t exist in the prediction of future business outcomes. We rather run f.e. a monte carlo simulation on top of historical data cycle times and forecast the probability of an expected outcome. Some of you might say that doesn’t work in our organisation, we need clear and concrete dates. Well, that is a valid claim. Problem is though, already mathermatically their chances are simply unimaginable low. Again, planning like this is purely based on educated best guesses and everybody that has spent some time in such environments knows that. Period. Another interesting aspect of deterministic planning in a know-it-all environment is decision making. We need to know it all, then we can decide. We need 100% accurate data, otherwise we won’t. The reason for this behavioural tendency of avoiding decisions is fairly simple and we all feel the same about this: it just feels wrong to claim the truth about future outcomes especially if we are held accountable for it. Again I’d like to quote the man that constantly scares entire sectors with ongoing innovation, and CEOs all over the world panic if they hear Jeff Bezos is about to pivot their way. In the day1 manifest he states that a day1 company makes high speed decisions and roughly knowing 80% about what’s right in front is enough to make decisions. I think many people would have difficulties to count the amount of times they were present when a know-it-all environment damaged itself by making decisions too late, not at all or were forced to decide by external influences. The "silo culture" literally rendered the upper management blind. Lack of transparency and decision making proposals colored by internal political interests based on educated best guesses leaves management rolling the dices. Often none of the dice’s sides represents an option any experts would have taken that was right in front of the challenge. The advantage of involving the expert in the decision process is barely chosen. If on top the cultural state has closed the door through which the management had the opportunity to get in touch with the base or experts actually facing the main challenges, not only the timing suffers but the low quality of decisions can become dangerous. Ok, so enough of how it’s not working. We want to know how it’s working, right? And here comes the simple and beautiful truth. We simply don’t know. Because we are a Learn-It-All Organisation, we perceive problems as something we engage in and are eager to solve. Problems are not problems, they are opportunities to learn from, and to get better at what we do. We welcome failure because we use intelligent failure (fail fast, fail cheap and move on). The thing we do first is to understand our demand. Our customer is the very and only reason why we exist. Therefore we think outside-in. People’s behavior is a reaction of the system they are in. We act on the system, not on the people. We intensify organisational wide tangible customer value. The customer has a need, or needs a problem to be solved. He doesn’t see nor does he care about our line-organizational structure. We are aware of that and understand the importance of regular inter-departmental coordination. We visualize our work based on customer value. Together, we identify the vital few (20% of measures account for 80% of outcome) and foster a culture of “stop starting, start finishing”. We pull the feedback from our customers and design what we do next based on real customer input. All our measures are executed in a scientific manner. We start with a hypothesis that we proof before we engage in large scale production launches. Small experiments help us test our assumptions and foster knowledge over experience. We regularly inspect the status-quo of any assumption present in our organization and engage in unlearning and learning if necessary. We empower people on all levels of our organization to take ownership and responsibility in their area of expertise and elsewhere if necessary. Decisions are made where experts are right in front of the problem. In order to decide we rather use 80% of measurable data than 100% of educated best guesses. Management helps us to remove waste from our system and clear impediments that slow our progress. We form an organization that is driven by our intend to foster autonomy, mastery and purpose within us because together we form this organization.